Another day, another beta. Usually, everyone wins when it comes to such events. Developers get to stress test their product in real world conditions, and fans get an early taste of what’s to come, sort of like a timed demo when you think about it. No stranger to this is EA’s Battlefield series, a series that essentially sold players an actual beta test in the guise of Battlefield 4. Hardline is the name of the next game in the series however, and it’ll be undergoing a public test from next week. 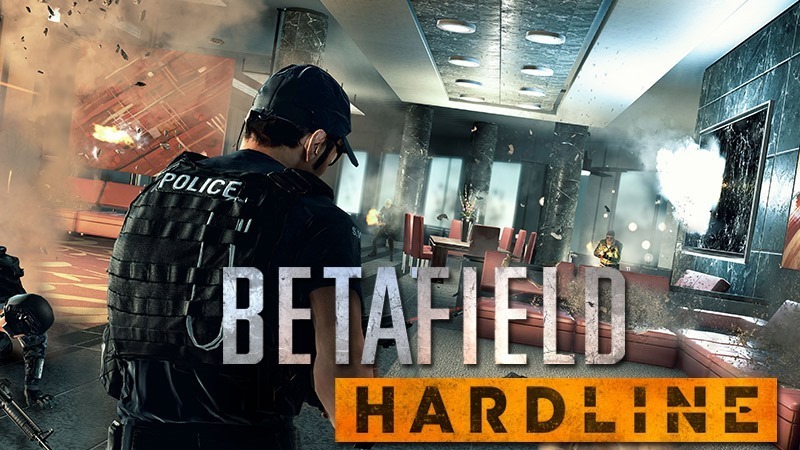 From February 3 to February 8, EA and Visceral will launch the Battlefield Hardline beta on Origin for PC, PlayStation 4, PlayStation , Xbox One and Xbox 360. Or all relevant platforms then. “There’s nothing more valuable to our team than the relationship we have with our community. Their passion feeds our passion and their feedback has definitely helped make Hardline a better game,” Steve Papoutsis, General Manager of Visceral Games and Executive Producer of Battlefield Hardline said via AGB. We want them to play the hell out of the beta next week and trust that they’ll keep that feedback coming so we can continue to fine tune the game. There’ll be three different maps and modes available in the beta. Hotwire will have players engaging in chases over large-scale maps such as Downtown and Dust Bowl, which will be large enough to incorporate up to 64 players but only on PC and current-gen systems. Heist mode will also be available, allowing for a stand-off between cops and robbers on the Bank Job map. Curiously, I’m actually looking forward to the single-player of this game far more. Battlefield multiplayer games have always been a bit too much for me, dominated by incredibly high-skilled players. I usually can’t go more than two seconds without being horribly, horribly, murdered. And with Visceral in charge of the single-player portion of this game, I’ve got some hope that I can at least enjoy half of a Battlefield game, for once.